Now is the time for a job creation. In SBSCNBC <Blockchain Magazine Expert, No.8>, it comprehensively examines the current and future job creation in the blockchain industry while the today's recession continues. 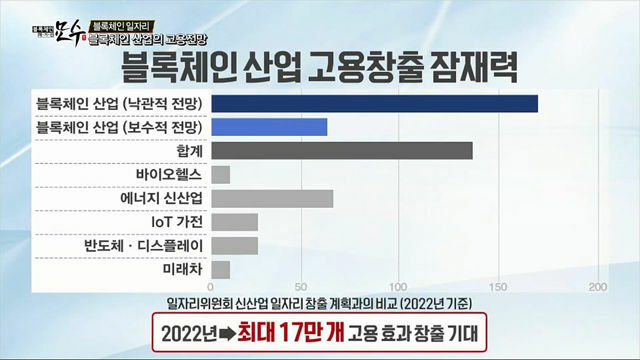 Based on the result of an analysis on the employment effect of the blockchain and cryptocurrency(virtual currency) industry that the Korea Blockchain Association commission Professor Lee Byung Tae of KAIST Business School, it identifies the areas where up to 170,000 a new job can be created by 2022. The smallest state in Switzerland where 124,000 people live has a bold corporate tax rate, a world-class business environment, and a solution mind of public officials who work together when problems arise. We find the secret of the job creation of 'Zug', the mecca of blockchain, which is well known all over the world. It also introduces the current situation in which the demand and value of engineers have gone up as they enter the blockchain business. Although the uncertainty and volatility of the virtual currency market are significant, we hear the voices of the industrial field that are fully committed to scout engineers. 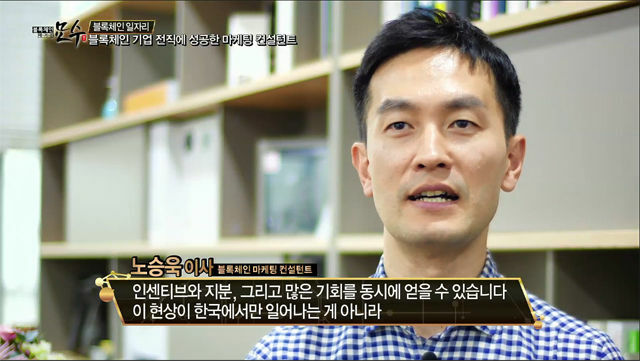 After graduating from English literature and working as a marketing director of game companies, we meet with CMO Noh Seung Wook of DeCentre , who is currently working as a marketing consultant for blockchain, and hear from him why the blockchain market is a future job for young people. Lastly, Professor In ho of Korea University, who is working as a regular panelist of the program, tells the story of the successful strategy of getting a job in blockchain business. <Blockchain Magazine Expert, No.8> will be broadcasted at 11:00 pm on Wednesday, November 28, to look into all about the blockchain for the first time in the world.